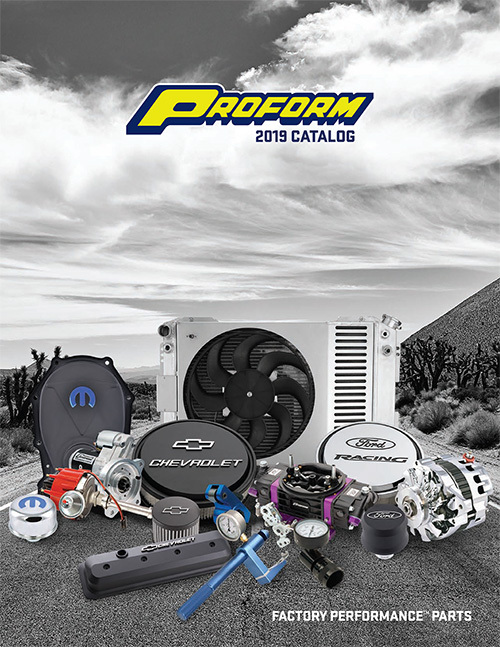 The 2019 PROFORM Catalog is 96 pages of engine performance, dress-up, and tools that will take your racer or cruiser to the next level! Crank up the HP, build the perfect engine, and new this year keep cool with the patented, PROFORM Slim-Fit Integrated Radiator Systems! Please visit our digital catalog here, or here and we will mail you one on us! Note: Catalogs will only be mailed to U.S.A. and Canadian Zip Codes.